There are many forms of excessive drinking that cause substantial risk or harm to the individual. Excessive drinking causes illness and distress to the drinker and his or her family and friends. It is a major cause of breakdown in relationships, trauma, hospitalization, prolonged disability and early death. Some forms of excessive drinking include but not limited to. Repeated episodes of drinking to intoxication. Drinking that is actually causing physical or mental harm. Drinking that has resulted in the person becoming dependent or addicted to alcohol. Drinking alone when you feel angry or sad. 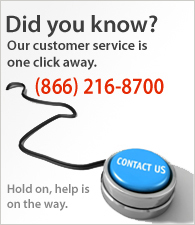 Using a breathalyzer is essential to any good alcohol screening program either at home or in the workplace. Why Screen for Alcohol Use? There are many forms of excessive drinking that cause substantial risk or harm to the individual. They include high level drinking each day, repeated episodes of drinking to intoxication, drinking that is actually causing physical or mental harm, and drinking that has resulted in the person becoming dependent or addicted to alcohol. Excessive drinking causes illness and distress to the drinker and his or her family and friends. It is a major cause of breakdown in relationships, trauma, hospitalization, prolonged disability and early death. Alcohol-related problems represent an immense economic loss to many communities around the world. Hazardous drinking is a pattern of alcohol consumption that increases the risk of harmful consequences for the user or others. Hazardous drinking patterns are of public health significance despite the absence of any current disorder in the individual user. Harmful use refers to alcohol consumption that results in consequences to physical and mental health. Some would also consider social consequences among the harms caused by alcohol. Alcohol dependence is a cluster of behavioral, cognitive, and physiological phenomena that may develop after repeated alcohol use. Typically, these phenomena include a strong desire to consume alcohol, impaired control over its use, persistent drinking despite harmful consequences, a higher priority given to drinking than to other activities and obligations, increased alcohol tolerance, and a physical withdrawal reaction when alcohol use is discontinued. Alcohol is implicated in a wide variety of diseases, disorders, and injuries, as well as many social and legal problems. It is a major cause of cancer of the mouth, esophagus, and larynx. Liver cirrhosis and pancreatitis often result from long-term, excessive consumption. Alcohol causes harm to fetuses in women who are pregnant. Moreover, much more common medical conditions, such as hypertension, gastritis, diabetes, and some forms of stroke are likely to be aggravated even by occasional and short-term alcohol consumption, as are mental disorders such as depression. Automobile and pedestrian injuries, falls, and work-related harm frequently result from excessive alcohol consumption. The risks related to alcohol are linked to the pattern of drinking and the amount of consumption. While persons with alcohol dependence are most likely to incur high levels of harm, the bulk of harm associated with alcohol occurs among people who are not dependent, if only because there are so many of them. Therefore, the identification of drinkers with various types and degrees of at-risk alcohol consumption has great potential to reduce all types of alcohol-related harm. 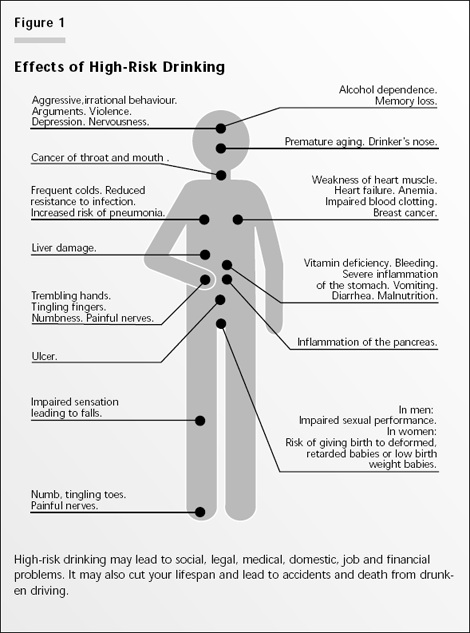 Figure 1 illustrates the large variety of health problems associated with alcohol use. Although many of these medical consequences tend to be concentrated in persons with severe alcohol dependence, even the use of alcohol in the range of 20-40 grams of absolute alcohol per day is a risk factor for accidents, injuries, and many social problems. Many factors contribute to the development of alcohol-related problems. Ignorance of drinking limits and of the risks associated with excessive alcohol consumption are major factors. Social and environmental influences, such as customs and attitudes that favor heavy drinking, also play important roles. Of utmost importance for screening, however, is the fact that people who are not dependent on alcohol may stop or reduce their alcohol consumption with appropriate assistance and effort. Once dependence has developed, cessation of alcohol consumption is more difficult and often requires specialized treatment. Although not all hazardous drinkers become dependent, no one develops alcohol dependence without having engaged for some time in hazardous alcohol use. Given these factors, the need for screening becomes apparent. Screening for alcohol consumption among patients in primary care carries many potential benefits. It provides an opportunity to educate patients about low-risk consumption levels and the risks of excessive alcohol use. Information about the amount and frequency of alcohol consumption may inform the diagnosis of the patient's presenting condition, and it may alert clinicians to the need to advise patients whose alcohol consumption might adversely affect their use of medications and other aspects of their treatment. Screening also offers the opportunity for practitioners to take preventative measures that have proven effective in reducing alcohol-related risks.